I like Totally Target on Facebook as couponjenn. I “like” Totally Target on Facebook. Thanks ! Hope I hit the bulls-eye and win this one. Another opportunity to win. Wow! I’ve liked you for a long time! that’s an awesome gift card! never seen one like that before. could definately put the card to good use. Thanks. Thanks for the chance to win this fun and very useful gift card. Thanks for the chance at another great giveaway! Already a FB fan :)–Love the site! I wish I could win sometime soon!! Cute gift card. Would love to win! That is one cool gift card! Maybe this will be my lucky day? ?? !! Liked you on Facebook already! I love your site and thank you for ALL your giveaways! Love all your cute gift cards! Of course I already”LIKE” you!!! what a fun gift card! Would love to win! I have my eye on a pair of barstools 🙂 I like you on FB too. 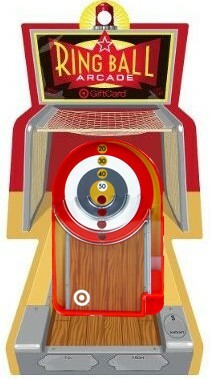 I could really use a Target giftcard! Love your blog!